A given country’s competitiveness is directly impacted by how well logistics performs. This factor integrates national and international markets and allows countries to exploit their local comparative advantages and economies of scale. On the basis of this premise, COSIPLAN has taken on a comprehensive vision of transportation and the services associated with it, which logistics are the linchpin for. The Executive Technical Group Meeting on Freight Transportation and Logistics (link in Spanish) took place on September 13 and 14, 2016, in Bogotá, Colombia. The event was coordinated by INTAL in its role as the COSIPLAN/IIRSA Technical Coordination Committee and was attended by delegations from many countries in South America, including government officials who had taken part in the online course on Drafting and Management of Policies on Freight Transportation and Logistics. The meeting focused on five areas: the Network of Government Experts; Observatories on Freight Transportation and Logistics in the region; the Drafting of the Strategic Plan for Freight Logistics for the MERCOSUR–Chile Hub; COSIPLAN Sectoral Integration Processes connected with this area, namely border integration and facilitation, rail integration, and integration through ports and waterways; and the online course. The two days combined information-packed presentations with working groups on strategic planning. The crosscutting nature of the logistics sector means that policy design for it needs to take a multisectoral and multidisciplinary approach. The organizations that take part in COSIPLAN include government bodies related to transportation, infrastructure, and planning, and other players from the areas of trade, production, and customs at both the national and subnational levels. The involvement of the private sector as a logistics provider and source of freight has also become essential. The objective of COSIPLAN’s Network of Freight Logistics Experts (REXLOG) is to continually advise the council on its decisions and the making of public policies, plans, projects, and regional initiatives so as to promote the development of national and regional logistics systems. At the meeting, the countries agreed that the structure and operations of the network would use a flexible work scheme so as to allow all countries to be actively involved. The aim of this approach is to expand the range of institutions that are involved, facilitate the exchanging of experience and best practices, and create a suitable environment for promoting shared solutions. The technological tool that will be used to provide support for this dialogue and exchange of information among participants is the IDB’s Communities of Practice on Integration and Trade (link in Spanish). It was also decided that the entire network would meet in person to review their progress and put forward new issues. The network will operate on the basis of working subgroups that focus on specific topics. Work will begin in the first quarter of 2017. The meeting established the following three areas as priorities: strategic logistics chains; information-gathering and observation methodologies; and the harmonization and unification of core concepts. Other issues that were identified included: institutional structure and freight transportation regulations; the urban impact of logistics; information technologies; trade facilitation; and the infrastructure of logistics services. Those present acknowledged the shortcomings in the available information on freight transportation and logistics in the region and identified key regional indicators on which data needs to be collected. For the short term, these indicators were: (i) freight volumes (tons/month; tons/km) by type; (ii) times: origin–destination and time at the border; (iii) transportation (fleet): number of vehicles by type that operate along integration corridors; (iv) foreign trade processes: number of checks required for a single shipment and the number of documents required (import and export); (v) costs (tons/km); and (vi) distribution/exchange by form of transportation. The Online Course on the Drafting and Management of Policies on Freight Transportation and Logistics was developed by the IDB and coordinated by Peru as part of the COSIPLAN initiative. INTAL coordinated the drafting of the project proposal and contents, carried out the technical review of the program, and convened participants. The aim of the program was to train officials from the various public-sector agencies from UNASUR countries that are involved in the drafting, implementation, and evaluation of public policies, plans, programs, and projects in the freight logistics sector. Between 2015 and 2016, the course was run three times. Of the 120 people who signed up, 97 government officials from 14 countries in Latin America completed it. Participants came from the following South American countries: Argentina, Bolivia, Brazil, Chile, Colombia, Ecuador, Paraguay, Peru, and Uruguay. Of these, 60% were men and 40% were women, and the average age of participants was 40. They gave the course a rating of 9 out of 10 on the basis of its contents, tutors, the materials used, and the online platform. During the meeting, those participants who had completed the online course rated it very highly, underlining the quality and usefulness of the contents and the experience they had gained as a consequence of the number of hours it had involved. Among other factors, they mentioned how useful the forums had been as a way of learning from each other’s experience; the need for a real-time tool to allow participants to get to know each other; and the importance of publicizing the course within their governments so that institutions that work with freight logistics at both the national and subnational levels will get involved. The countries present requested that a fourth session of the course be run in 2017 as part of the COSIPLAN Work Plan. To this end, they committed to identifying a wide audience that would include public agencies that work in this area at both the national and subnational levels. As part of the 2016 Work Plan, the countries of the MERCOSUR–Chile Hub suggested carrying out a study on strategic logistics chains within the hub. INTAL coordinated the drafting of the initial proposal for the terms of reference for the initiative, so as to define its scope and the resources needed to carry it out. The objective of the study is to draft a strategic plan to develop freight logistics in the MERCOSUR–Chile Hub, focusing on chains that are of strategic interest (both at the national level and within the hub) and on understanding patterns in trade and logistics. The proposal they put forward was analyzed by the working groups. The main conclusion reached was that in order to carry out a study of this size, all countries would need to commit to providing the necessary resources and set up multisectoral national teams to carry out the work plan. Those present also underlined the need to involve subnational government; establish public–public and public–private mechanisms for dialogue at both the national and regional levels; and to agree on a set of quantitative and qualitative criteria for selecting specific logistics chains, bearing in mind that the links that make up these chains need to belong to more than one country. This feedback will be incorporated into a new draft of the terms of reference that will be presented via videoconference to the country coordinators for the hub so that they can consider including them in the 2017 COSIPLAN Work Plan. In order to analyze the coordination of freight transportation and logistics initiatives, the event included presentations on the progress that had been made on South American Rail Integration, Cross-Border Integration and Facilitation, and South American Integration through Ports and Waterways. 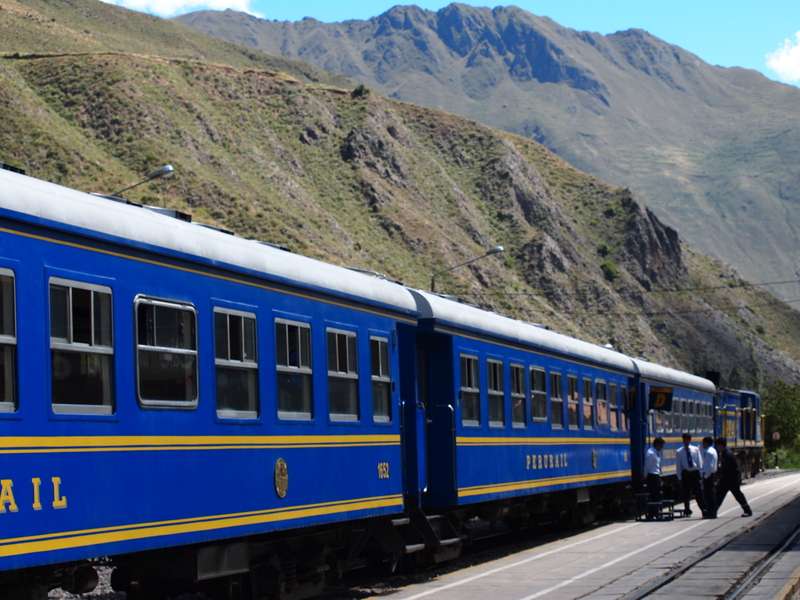 In terms of South American Rail Integration, COSIPLAN is currently carrying carrying out its “Study to Provide Inputs for Drafting a Strategy to Facilitate South American Rail Integration,” which is being coordinated by Uruguay. Those presenting this study underlined the information-gathering efforts that countries are making and mentioned the importance of making this information available so that other analyses can be carried out in addition to those included in the study. The discussion on Cross-Border Integration and Facilitation reviewed the prior work in this area that COSIPLAN had carried out and the related initiatives that Argentina and Chile coordinated in 2016. Up-to-date information on the state of border crossings and borders was gathered through questionnaires sent to all 12 countries. These efforts are directly connected to freight transportation and logistics. The aim of this was to obtain information on issues such as services for truck drivers; parking areas for freight vehicles; separate entrances to checkpoints; logistics nodes at border areas; refrigerated cargo checks; and dangerous cargo checks. Those present also underlined the usefulness of the COSIPLAN Geographic Information System (link in Spanish), which allows logistics and freight transportation to be articulated with information on borders, as it includes thematic layers that georeference dry ports, free trade zones, and logistics hubs, among other features. With regard to South American Integration through Ports and Waterways, CAF mentioned that its recent study (link in Spanish) had revealed the potential of this initiative. South America possesses the largest river system in the world, containing 28% of the planet’s total freshwater and made up of 110,000 km of navigable waterways. CAF also underlined the need for a paradigm shift regarding waterways and river basins, which it argued should be perceived as means of transportation and communication that integrate inhabitants and territories. It went on to explain that they could be drivers for social and economic development in their areas of influence, which are often inland; that they could improve competitiveness and favor international integration; and that they are compatible with care for the environment and contribute to sustainable and socially responsible development. The meeting was attended by representatives from Argentina, Bolivia, Brazil, Chile, Colombia, Ecuador, Paraguay, Peru, Uruguay, and Venezuela.